President Rodrigo Duterte is scheduled to embark on a foreign trip May 10 for a six-day visit to Cambodia, Hong Kong, and China. Acting Foreign Affairs Spokesperson Robespierre Bolivar said the President will attend the World Economic Forum in Cambodia to make a pitch for his economic agenda as the current chair of the Association of South East Asian Nations. He is expected to brief the WEF with the progress of the ASEAN Economic Community after the 30th ASEAN Summit. “The leaders welcomed the ASEAN Economic Community’s thrust to pursue three strategic measures, namely: increasing trade and investment; integrating micro, small and medium enterprises in the digital economy; and developing an innovation-driven economy and to reduce trade transaction costs by 10 percent by 2020,” Bolivar said. More than 700 leaders from business, government and civil society groups are expected to participate in the WEF. 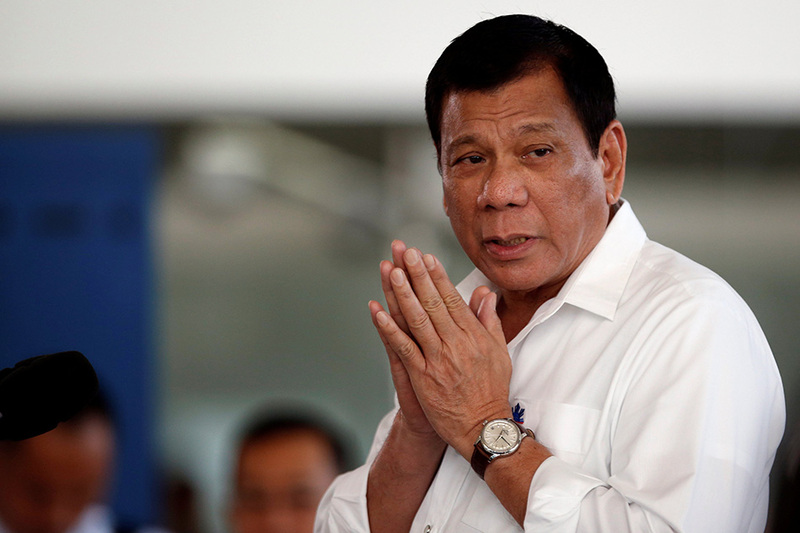 From the WEF in Cambodia, Duterte will fly to Hong Kong on May 11 for a three-day visit, and will meet the Filipino community in the special administrative region according to the Department of Foreign Affairs. “The Filipino community in Hong Kong has been actively partnering with our Consulate General in ensuring the rights and welfare of our kababayans in Hong Kong are protected and promoted and the community has also been instrumental in promoting enhanced trade relations between the Philippines and Hong Kong and in promoting our country’s investment opportunities and tourist destinations,” Bolivar said. The President will conclude his overseas trip with a flight to Beijing, China on May 14 and 15 to join the Belt and Road Forum for International Cooperation. Duterte is among 28 heads of state expected to attend the forum, along with Russian Prime Minister Dmitry Medvedev. “The topics they are expected to discuss include: infrastructure connectivity; economic and trade cooperation; industrial investment; energy and resources; financial support; people-to-people exchanges; ecological and environmental protection; and marine cooperation,” says Bolivar. Meetings between Duterte and other leaders, Bolivar said, are still being worked out.